Store your ripped and distressed denim. It's all about clean and darker washes RN! Zoe Saldana – in an all blue outfit – was spotted out in Studio City, Los Angeles. She wore a pair of fashionable dark blue cropped jeans in a high rise, without any kind of fading or distressing. Zoe paired her jeans with a plunging v-neck t-shirt, also in a dark blue hue, and pink ballerina flats with straps. Dark wash, or raw denim, is so very right now, appropriate for the colder seasons. And also, We think that we can give our super distressed and ripped bad boys a (winter) break! Dark blue jeans also are the next bet thing to black jeans, very classic and easy to pair when you have a more formal event or even at the office. You can find dark wash jeans here and here. 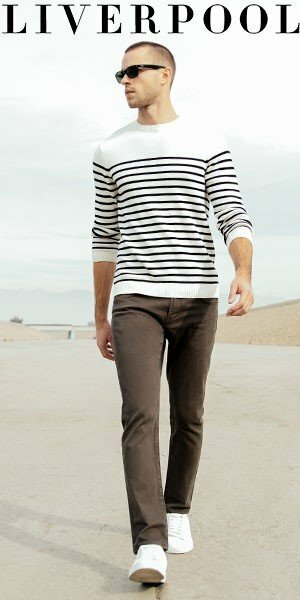 Previous articleTrend Report: Corduroy and Velvet Jeans? Yes Please!